Each academic discipline at Truman has a subject liaison in the Research & Instruction Department dedicated to the needs of faculty and students in the area. 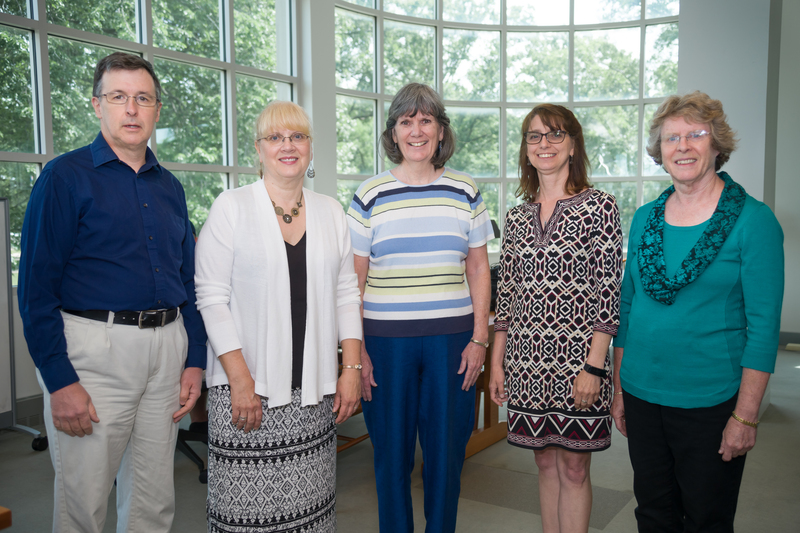 Faculty are encouraged to contact their subject liaison at any time for help in finding library materials (online or in print) or to order books, journals, or other materials for the collection. 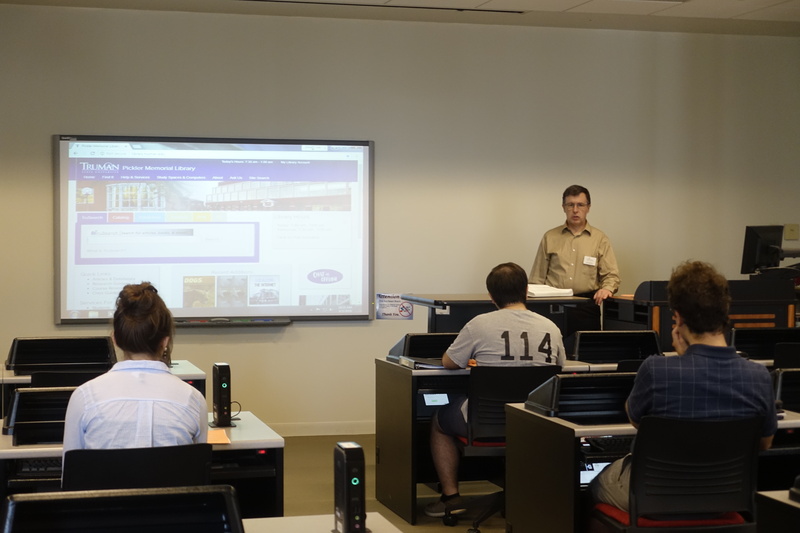 Librarians in Research & Instruction regularly teach sessions in the library's electronic classroom (PL 1003) and in other electronic classrooms across campus. These can be demonstrations on specific resources or online databases or more general discussions about research in a discipline. Research & Instruction Librarians are always available to assist in the design of assignments involving research and critical thinking skills. Consider embedding a librarian into a BlackBoard course to provide direct assistance to students. For additional tips on designing effective library assignments, click here. 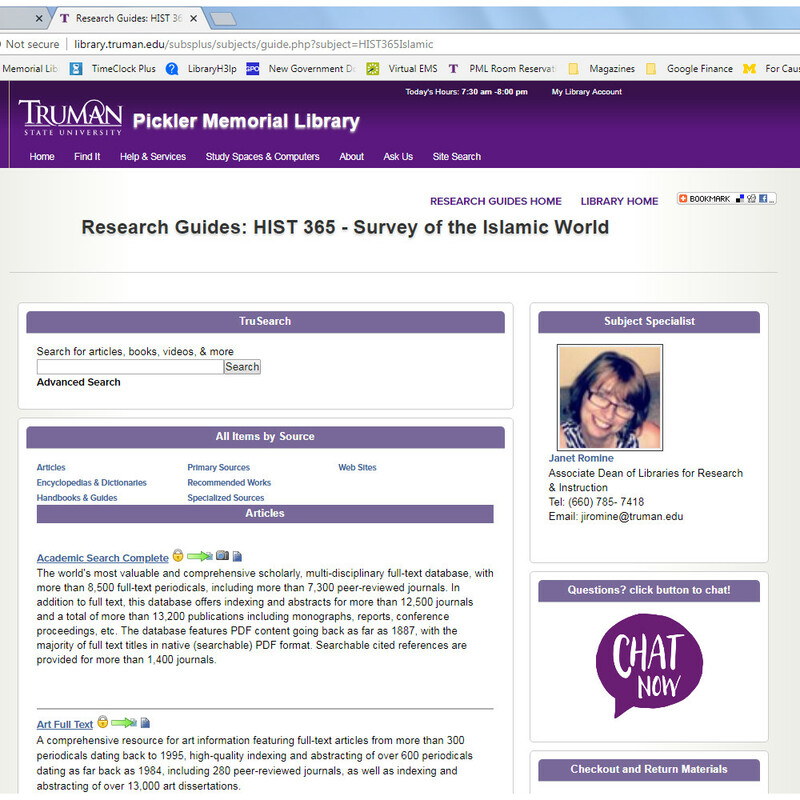 Research & Instruction librarians regularly create and edit web pages for use by faculty and students. 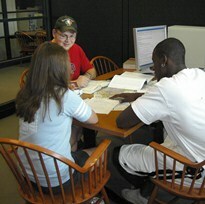 To learn about additional services that the library provides, click here.